HomeBlogTechnologyYotaPhone 2 Smartphone with e-ink Display. 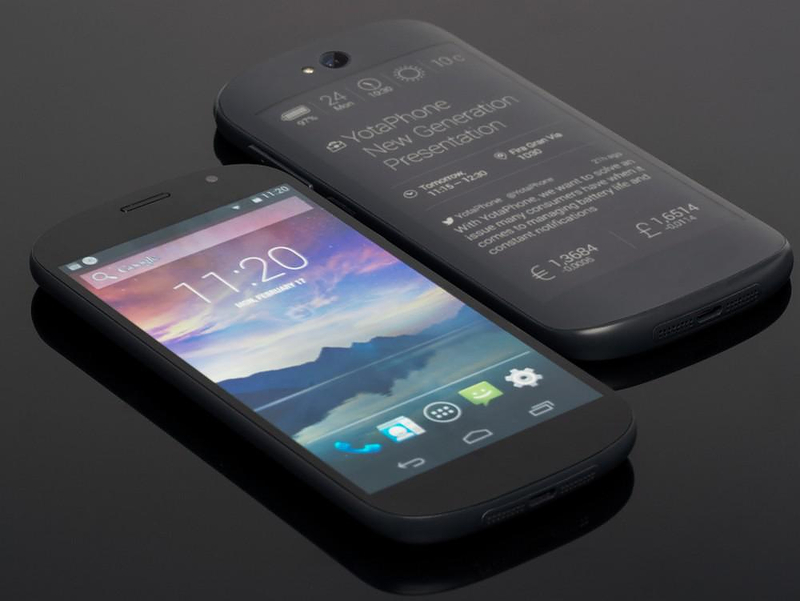 Russian Yota Devices unveiled YotaPhone 2, the second iteration of its dual-screen smartphone, at Mobile World Congress in Barcelona. 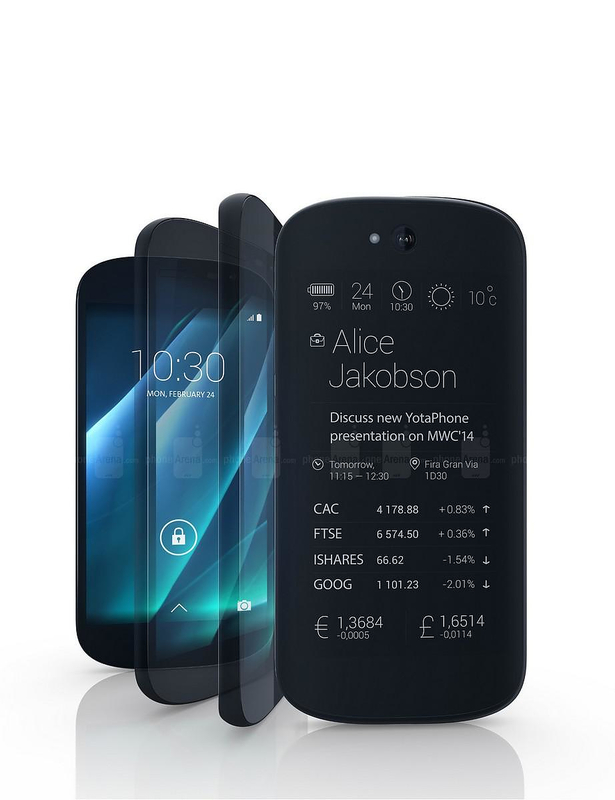 Like the first Yotaphone, its predecessor, the YotaPhone 2 possesses a unique distinguishing feature, a second e-ink display. 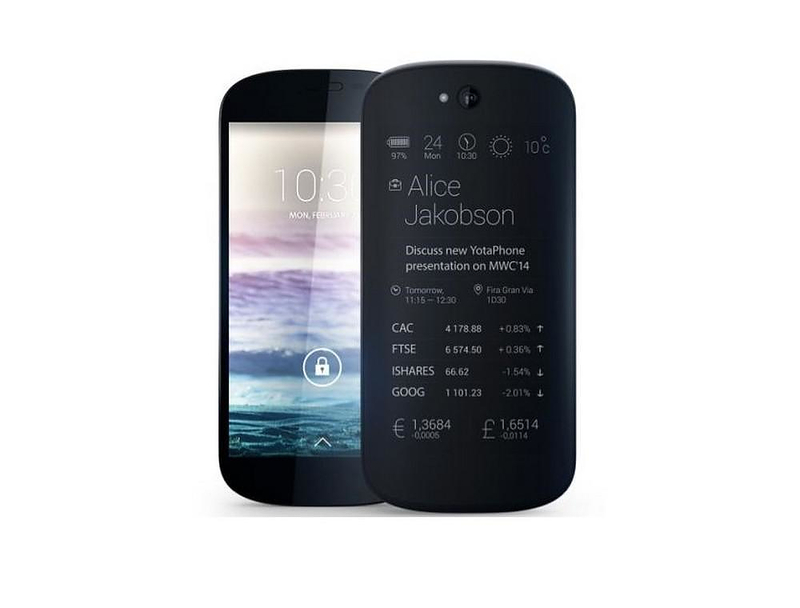 Apart from the e-ink display the YotaPhone 2 is equipped with a conventional impressive 5-inch, 1080p, full color AMOLED display ideal for anyone who enjoys watching videos, playing games, viewing photos and browsing the internet. The 4.7-inch e-ink display on the back boasts 960X450 resolution and is fully touch-responsive. The user does not have to tap and swipe a panel under the display to flick between screens, he can immediately respond to emails and texts, accept and decline meeting invites and post to social media without having to wake up and activate the primary 5-inch color display. 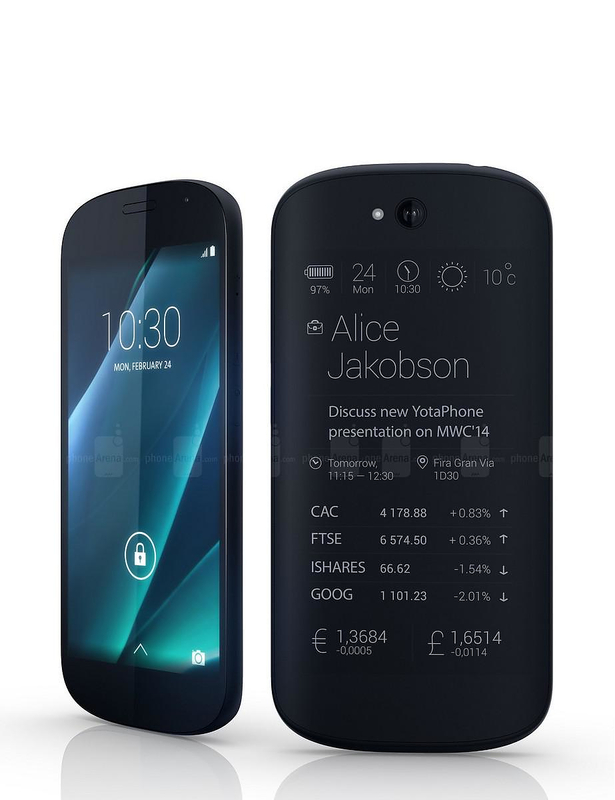 In addition, the YotaPhone 2 comes with a Smart Power Mode so users can turn off the energy-consuming color screen and perform functions like making and answering phone calls on the always-on display to preserve battery life. 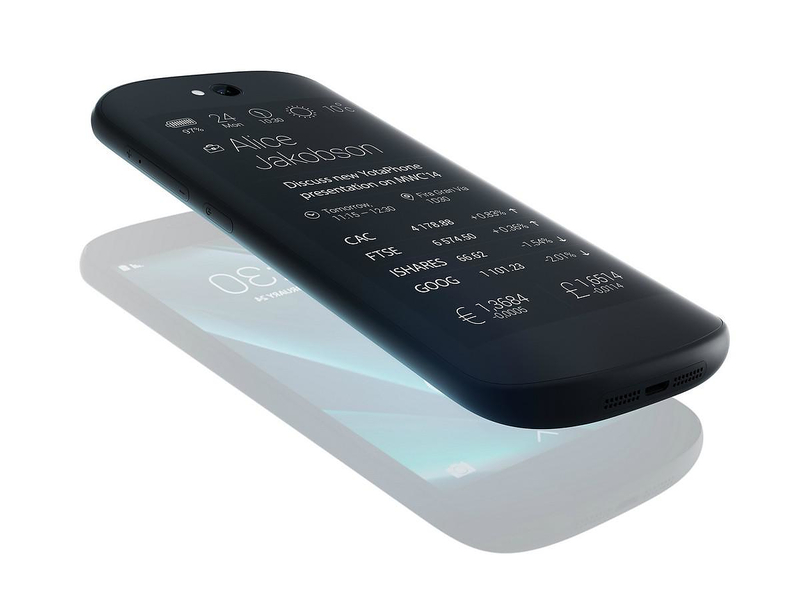 YotaPhone 2 delivers over 50 hours of battery life when reading on the always-on display. “Our goal is to remove the bad habit of having to wake up the device every five minutes to check what’s on screen,” Yota CEO Vlad Marynov says. This is an interesting concept, it looks brilliant, it is good for reading, and most importantly, it is good for battery life, the bane of all modern high performance smartphones. 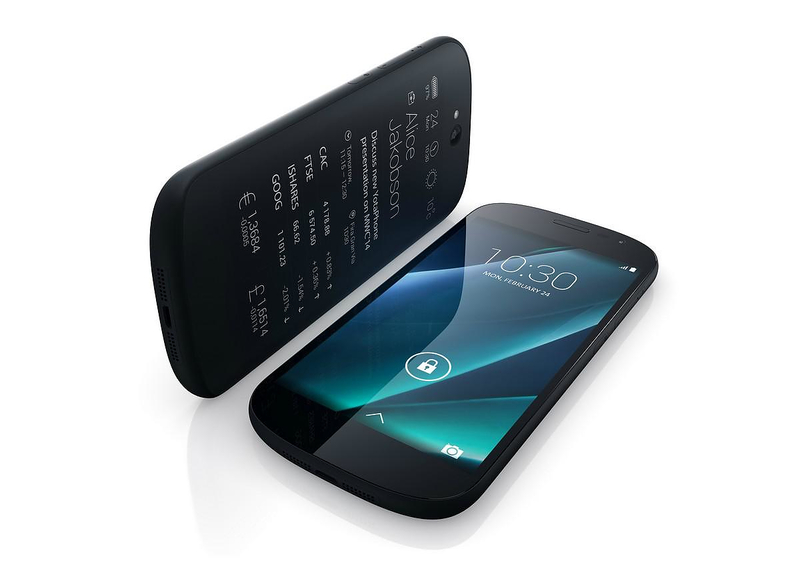 Inside the 8.9mm-thick YotaPhone 2 is the industry leading quad-core 2.3GHz Qualcomm Snapdragon 800 processor. This a proven platform found on many flagship smartphones and paired with 2GB of RAM it guarantees top-notch performance. Its other specs are comparable with top of the lien offerings from other brands, it has 4G LTE, NFC, wireless charging using the Qi standard, an 8-megapixel rear camera and a 2-megapixel front-facing camera. The operating system is an unmodified build of Android 4.4 KitKat, now if this means updates directly from Google we consider this a very important selling point. While not all Android apps work with the new Yotaphone’s 2 second screen, the company did release the phone’s SDK to third-party developers, opening the doors for more compatible apps. Yota Devices is Russian start-up and they define themselves as a user experience company. The business philosophy is above all based on innovating user experience as well as on applying the best emerging technologies to enhance customer experience.